Southeast Cherokee has earned Craw-Kan honors after 4-2 start. 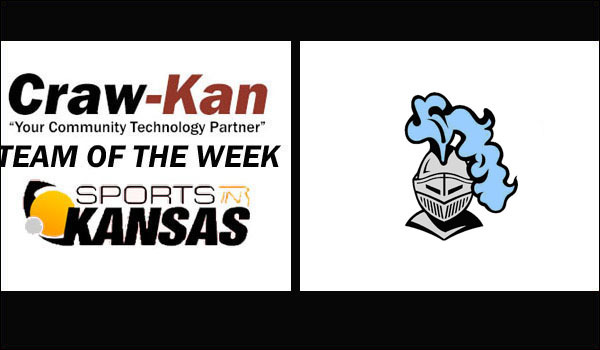 This week's Craw-Kan "Your Community Technology Partner" Team of the Week from the Southeast Kansas coverage area is the Southeast High School Lancers football team, led by head coach Jerrad Hansen. The Lancers defeated Erie 21-7 this past Friday on the road to improve to 2-1 in district play. Southeast entered the season on a 28-game losing streak, last winning a game on 10/10/14 against Northeast-Arma. Southeast has now won four games on the year after the first six weeks of the season with a 4-2 record. Senior quarterback Brett Malle has shined for the Lancers in 2018 with 509 passing yards and 405 rushing yards through six weeks. Zaden Hendricks has had 440 rushing yards to lead all Southeast players in rushing yardage. Jakob Taveraro has also had a big year as a junior with 368 rushing yards and four rushing touchdowns, while Bryce Petersen has added 277 yards.. Southeast has been balanced offensively with seven different players scoring a rushing touchdown.The Lancers have been run heavy for 288.5 rushing yards per game in 2018. Defensively Southeast is led in tackles by Tavernaro and Hendricks who each have 41 tackles. Jaret Brumback has 40 stops and Noah Newcomb has also added 37 stops. The Lancers are back in action this Friday against Riverton (1-5) at home. The Lancers have lost twice, Pleasanton (8-0) and Jayhawk-Linn (14-12). It's a complete turnaround from last year where the Lancers didn't score over 12 points in any game and were shutout three times in the seven games they played.